Rotten WiFi, a website which tests internet speeds, released the “Top 20 Best WiFi Airports in the world of 2015” last month. The website tested 185 airports around the world and based their survey on travelers experience and internet speeds. Travelers in Don Mueang can enjoy two hours of free WiFi whilst waiting for their flights. The airport has a recorded average download speed of 42.22 Mbps with a slightly higher upload speed of 42.28 Mbps. Not all airports offer free WiFi service, and when they do, connections can be frustratingly slow and patchy, Rotten WiFi said. Bill and Hilary Clinton National Airport in Little Rock, Arkansas, which call itself s as having the nation’s fastest, free airport WiFi, came in second with 36.23 Mbps followed by Kuala Lumpur International Airport in third place. Four other Thai airports made it to the Top 10. 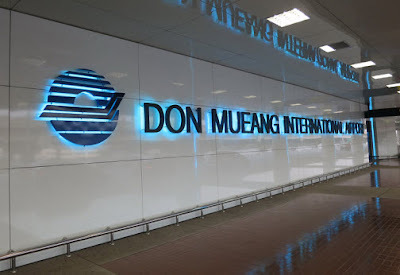 Chiang Mai International Airport in 5th place, Hat Yai International in 7th place, Chiang Rai International in 8th place, and Suvarnabhumi Airport who used to dominate the scene in 9th place this time.